The bike is in like new condition with 3600 miles. It’s being taken for service this week so it might go over and if it does I’ll up,date the post but it will not,be over 3700 miles. The bike is far from stock and the entire engine has been redone and it has an ATP turbo charger with 13lb spring. I’ll try to post a riding video with a go pro camera this week. The engine was built by Dave Stoddart in Pennsylvania and it runs so smoothly it’s hard to tell it’s a Harley 110” engine. HPI 58mm throttle body with 6.7 injectors. American Turbo Products turbo charger and 2 bar map sensor. The power is smooth and linear not jerky. When the turbo boosts you can feel your hands gripping the bar tighter to hold on. The tune from Dyno Dave, trained by Doc, is just a piece of art work. It’s hard to describe how smoothly this bike runs. I’ll post at least a standing video this week. The turbo can put down nearly 30 PSI of boost but I’m pretty sure at that point you’d need to do a chain conversion and copper head gaskets. I’m sure it would be insane but not sure how the day-to-day didn’t would be. The bottom end would handle it but may not be as much fun. The current setup is tame under normal riding conditions and pulls super hard under power. 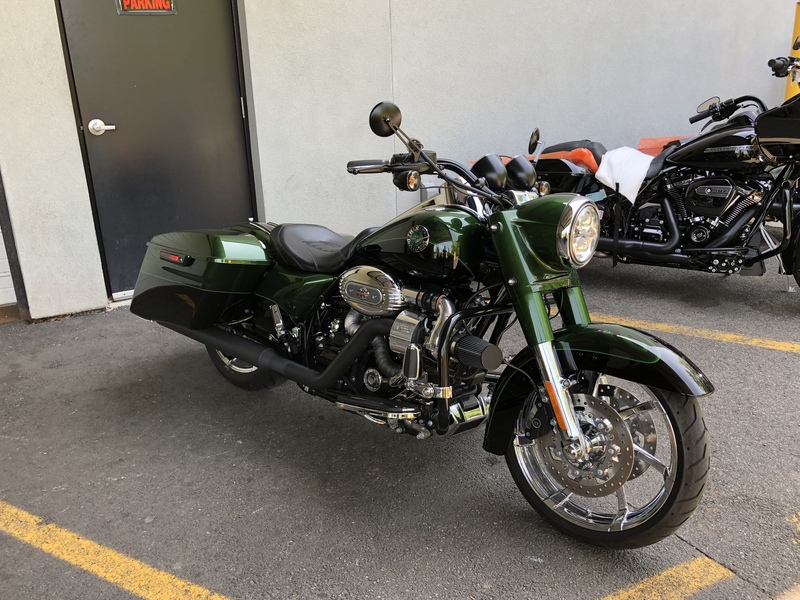 The bike is the CVO green for 2014. I’ve added the boom audio it’s speakers and a handle bar mount for a phone. The sound is ok but I like having tunes. I’m having the bike detailed and ceramic coated tomorrow by the same guy that did my cars—amazing. I’m selling this bikes, sadly, and will hate to see it go but it’s the realities of my life situation. It’s not a financial issue but I hate to put it back in the garage for another year when someone can get this for modestly more than a stock version of the bike. NJ title in hand where the bike is located. I split my time between FL and NYC but the bike is in a relatives garage in NJ 15 miles west of Manhattan. I can send a couple of iPhone pics if someone needs to see them sooner, bike looks good but not professionally detailed good. I’ll put it out there for a very fair $23,000. The bill for the engine build was 15,000 not including the cost of the turbo kit which was about 5,000. Last edited by zer0t; 05-07-2018 at 06:15 AM. Here is a youtube video. The bike is not detailed but looks ok, it will be detailed tomorrow. I know the orientation is wrong but I don't know what I'm doing. 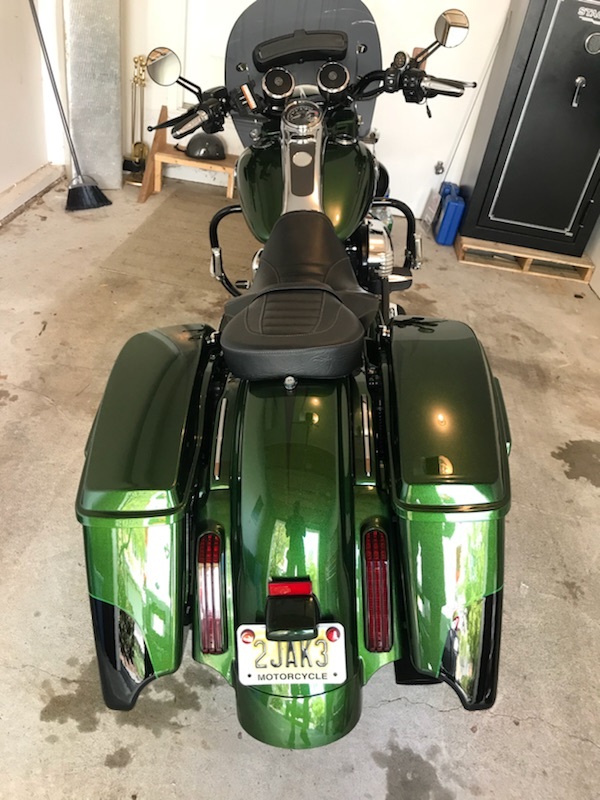 Bike has been professionally color corrected, detailed, ceramic coated and completely serviced. It looks better than new after the detailing. The ceramic coating makes it look like green glass. The bike runs flawless and still less than 3700 miles. I can email pictures because I can’t figure out how to post them. Lets try $21,000 as an asking price. The bike is headed to Florida on Thursday. Last edited by zer0t; 06-19-2018 at 05:45 PM. ‘sorry I didn’t see this but I am still selling the bike. I just replied to your PM. If still interested let me know and I’ll try and get you photos. I’m near Jax. If there’s any interest I can be called or text at 9seven3-4six4-two758. Zero pressure if you have any questions. 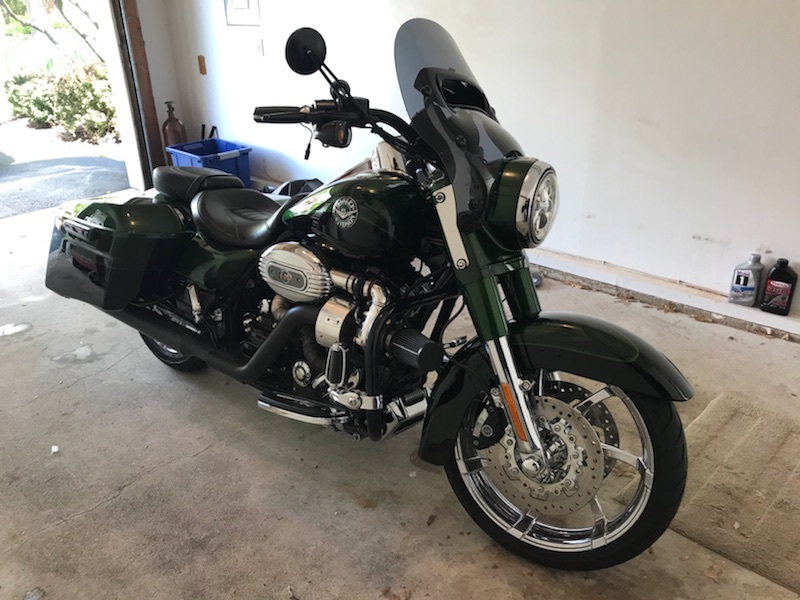 Bike is freshly serviced and is now FL titled and garaged on Amelia island FL. Thanks all. couple extra pictures. I’ll try to get some additional ones. My terrible iPhone photography does the bike no justice. Completely paint corrected and ceramic coated. Looks like glass. Last edited by zer0t; 08-04-2018 at 09:11 AM. Bump lot of bike for the money. Will trade for 70-72 vette of equal or greater value. The bike has all factory original features like ABS, cruise control and alarm. Let’s try 20k and I believe it may have just crossed 3700 miles. It looks, runs and rides perfectly. The completely corrected and ceramic coated paint has to be seen to understand how good it looks. I’ll try some extra pics this weekend. Also so willing to trade for 70-72 corvette of equal or greater value or late 70s early 80s 911 of equal or greater value. If interested open to offers.